Dutchman Falls are east of Portland. On I-84, access to Dutchman Falls is a left lane exit appr. 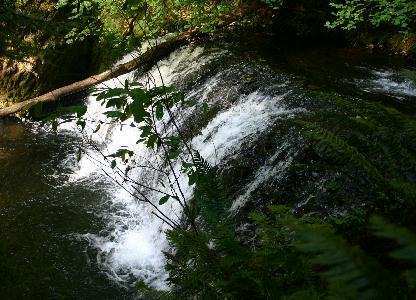 First ones to be reached will be middle/lower Dutchman Falls. Short distance from there is upper Dutchman Falls with a fairly good view behind a boulder. 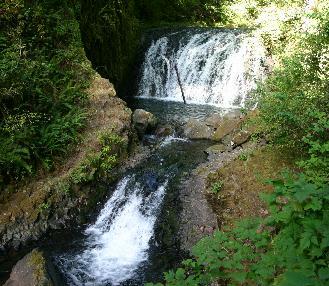 Total distance from base of Multnomah Falls to Dutchman Falls is about 1.5 miles.